Tomorrow will be my fourth try at Ironman Barcelona. Each year my performance has decreased so it is time break this trend. In 2016 I did Lofoten Triathlon and Challenge Almere between Norseman and IM Barcelona. Last year I only did Lofoten Triathlon, but only two weeks after Norseman and a bike crash between sent me in a very deep state of fatigue. Last years Barcelona was one of my weakest performances since I started triathlon in 2009. That was also a very good indicator that I needed to make some major changes. I was training myself beyond the knives edge with both big volume and high intensity. I hired Carson Christen in Trisutto as my coach who increased the intensity even more but cut down a huge amount of volume. The result was increased performance and decreased fatigue. In addition to a more balanced training program, I have a more balanced race program with nothing between Norseman and IM Barcelona. 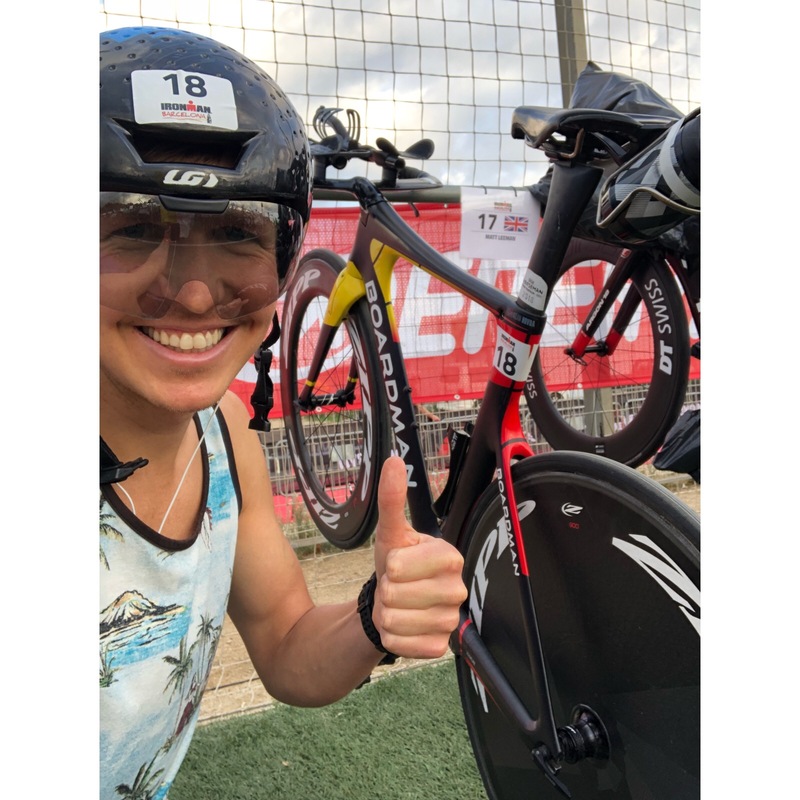 My plan towards IM Barcelona was my best plan towards that race so far. An injury in my calf after Norseman, however, made me unable to train running as planned. In a six-week period, I had only done 6 hours of easy running. By the time my calf was good running at 5:15min/km felt hard. I reduced my ambitions in Ironman Barcelona from a sub 8:26 (Norwegian IM record) to a strong swim and bike. I accepted that I might only be able to run a few kilometres. My general fitness was much better than my running and I had done some intense intervals on the cross trainer (in order to do the similar movement of running without the impact on the calf). In the few weeks, I have been able to run, the run shape rapidly increased. While I am still unsure how this will play out during a marathon I am fairly confident I will be able to finish a decent manner. Coach Carson is very clear on what he wants me to do. The primary goal for the race is to give 110 % on the swim and T1. The male PRO field is huge with 80 athletes, which should give me a group to ride with even with a relative weak swim. Last years experience showed that to not be true. I came out of the water with 10 others but was still cycling absolutely solo for 100km. I need to get out of the water with better cyclists. I will also ride more tactical. Going up in the front when the pace is getting low, but stay on the 12m limit as much as possible when the pace is good. In my opinion, I think the pros should have a 20m rule to give a more fair competition, but as long as the rules are 12m it is just stupidity to stay further back. The bike course is changed for this years race going from 2,5 laps to 2 laps including a small hill. For me, who are chasing the best possible time, it is not advantageous. BestBikeSplit.com estimated that the new course is 7 minutes slower than last years with my numbers. Still, IM Barcelona is rightfully known as a drafting party, especially among the age groupers. Having “more road” and a few hills will make this better. For that reason, I believe the new course is better. 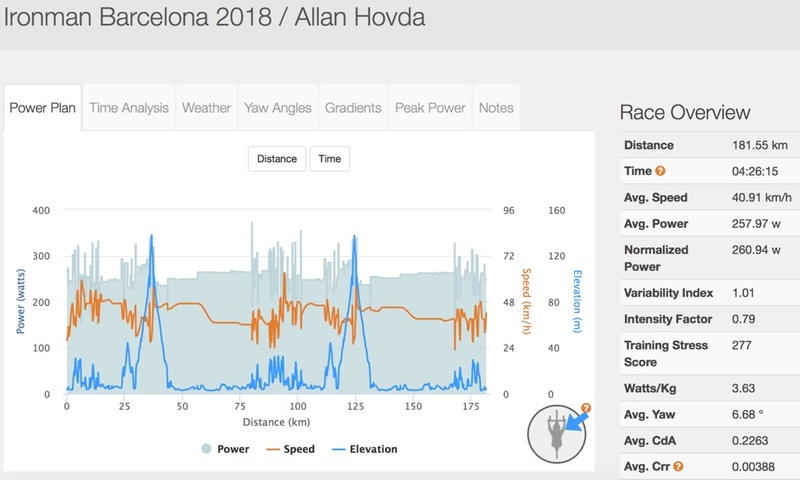 My estimated cycling time with the power output I should be holding is 4:26, which is 7 minutes slower than the 2017 course. Hopeful,ly I will get a 10 watt average advantage riding with other but I am prepared to do the most of the job alone. 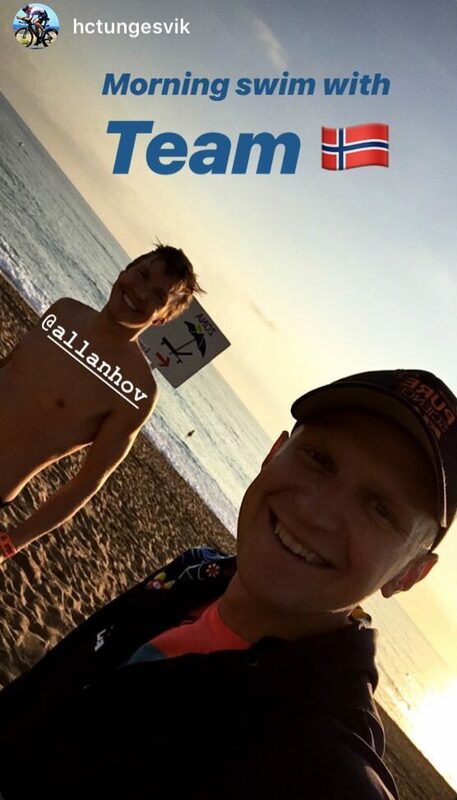 Hans Christian Tungesvik, the other Norwegian PRO competing, had an early morning swim today. In my case, it was the first time in a wetsuit in a nearly two months and the first time I been on someone’s feet since Norseman. 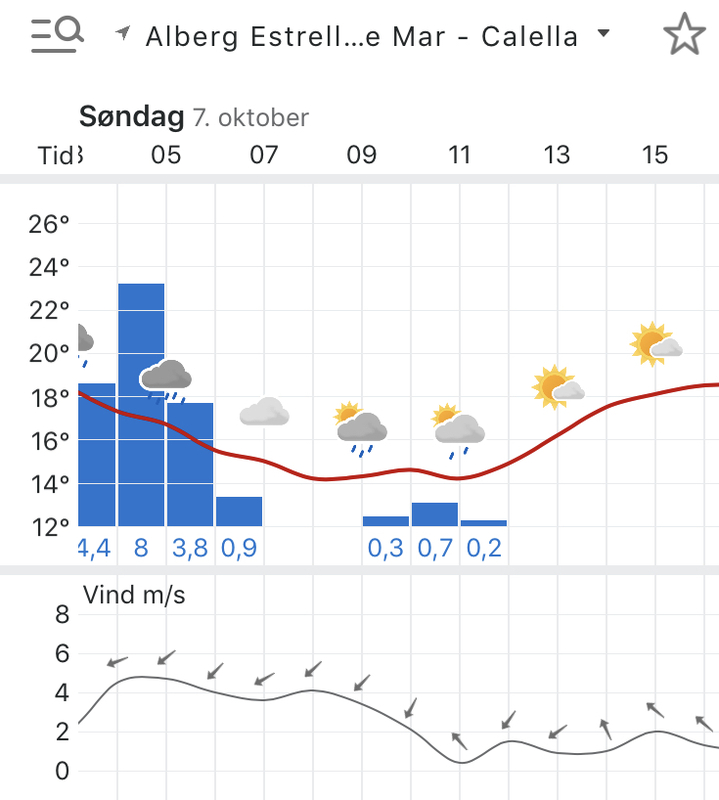 Not ideal, but that is the disadvantage of being a triathlete located in Norway. One last race with the Boardman TTE Signature. Its been a great bike and it has given me a lot of nice memories. I will do my best to achieve a superb performance on the road tomorrow.